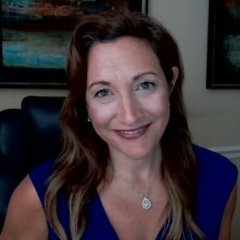 Ever heard of a “job story” in recruiting? It’s a way for recruiters to create a stronger connection with top talent so they can attract better candidates and motivate them to apply to their open positions. Unlike a job description, ‘job stories’ help candidates visualize themselves in the role, fueling their excitement for opportunities with your company - which then motivates them to invest time and energy into applying. 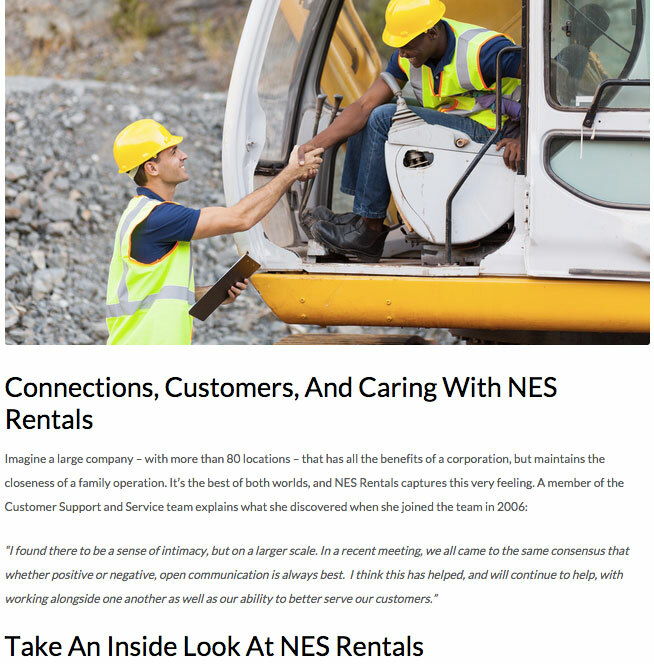 For an example, check out this job story by NES Rentals recruiter, Lindsay Kepley. This post targets candidates who are interested in an Inside Sales & Support Specialist role, but as you can see the recruiter doesn't dive into what's required for the role right away. Instead, she paints a very compelling picture of the company values, employees and executives and then challenges the readers to see if their personality is a match for the role. The key to great job stories is picking out a few candidate personas that you want to target and customizing your content around their key traits. These personas represent how today’s top talent perceives themselves as adding value in the workplace and are part of your prospects’ professional identity. Thus, when a job story speaks to what candidates see as their strengths on the job, they naturally feel attracted to the company and its opportunities. In addition to getting more candidates, personas help the talent pool self-select. In other words, those who can see their professional strengths won’t be leveraged effectively in this job can know not to apply and waste your time. If you search current job postings for project managers today, you’ll find plenty. However, no two descriptions are the same. As a result, aside from software knowledge and other hard skills, the ability for job seekers to evaluate themselves as a match for the role can feel limited. Step 1: Below is a short description of each persona. Using it as a guide, see if you can choose the three personas a project manager would need to succeed at your company. Remember, while I’m sure the ideal project manager would need all of these skills, you can only pick your top three. Visionary - thinks big-picture and conceptualizes ideas to motivate others to action. Researcher - gathers data and information to assist in better designs and decisions. Superconnector - builds relationships with all types of professionals to improve business. Optimizer - assesses, analyzes and maps out improvements that directly save or make money. Warrior - goes the extra mile and volunteers for the tough work when things are challenging. Mentor - coaches performance and helps others develop their own skills. Builder - executes on a plan, manages all aspects, and keeps it on time and under budget. Educator - closes gaps in knowledge and ensures staff is clear in their roles and goals. How likely is it your job descriptions for project managers are accurately articulating the need for these three personas? What are the chances that different project manager positions at our company (depending on the person they report to, type of project, etc. ), might need a different set of personas to succeed? 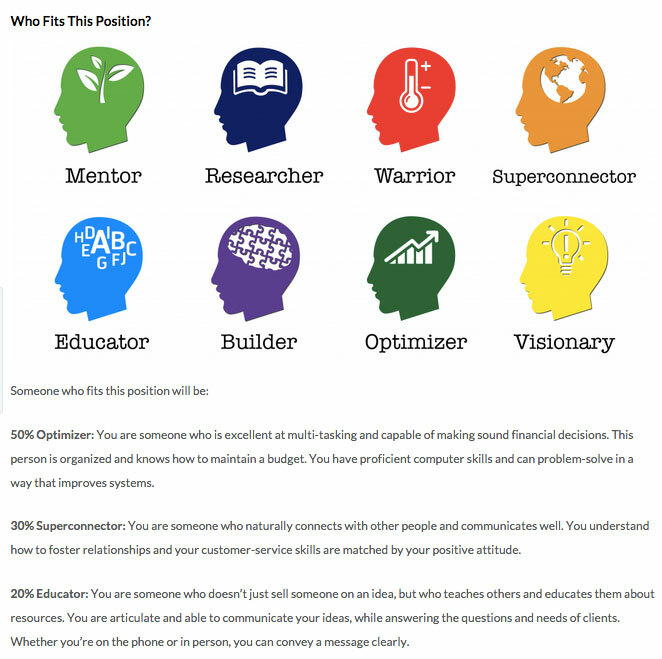 Based on your answers to the above, can you see how important personas are to the effectiveness of a job description? More importantly, can you start to see how creating job stories that showcase personas could do a better job of selling your open positions to the right candidates? In short, the use of personas is a game-changer when it comes to accurately defining and marketing an open position to the talent you want to work for you. I encourage you to spend some time with your hiring team discussing the eight personas and how they can help you do a better job of recruiting top talent. Proper use of personas will make a difference! P.S. If you’re a frustrated recruiter who is finding it harder to attract quality candidates, we want to hear from you. We are building an incredible community called, “The Purple Squirrel Society.” It’s a group of recruiters who are interested in using their recruiter brands (yes, you have one! ), along with job stories to recruiter smarter, not harder. Join me and my colleague for a FREE webinar on June 17th, to learn more about how you can become part of The Purple Squirrel Society. Sign-up here. NOTE: Space is limited to 500 recruiters to ensure we can provide a high level of engagement.